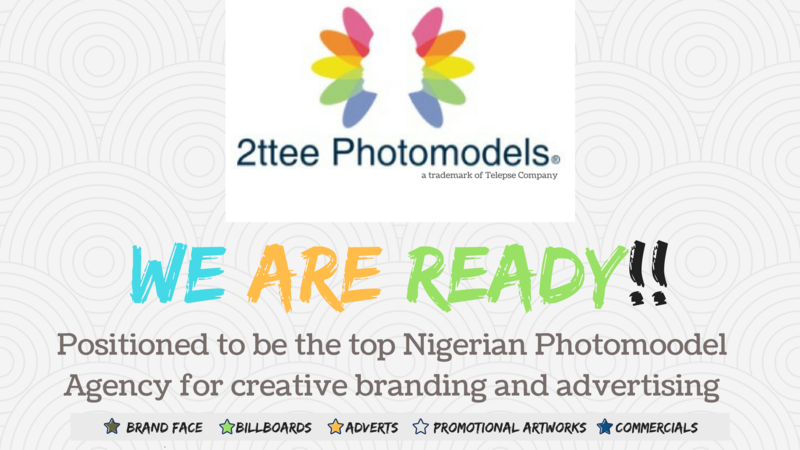 2ttee Photomodels is a Nigerian based agency for commercial models. The agency is a trademark brand of Telepse Company. It operates to serve advert agencies with models on demand and other clients with promotional models or brand face ambassadors. After one year of establishing the agency, with activities on social media, we bring you the official 2ttee Photomodels portfolio page featured on our platform. 2ttee Photomodels currently promotes four models. The portfolio page displays the latest model portfolio pictures for clients to see and process for modelling bookings. It also shows previous jobs in which the model being views was featured. Telepse Company © All rights reserved.